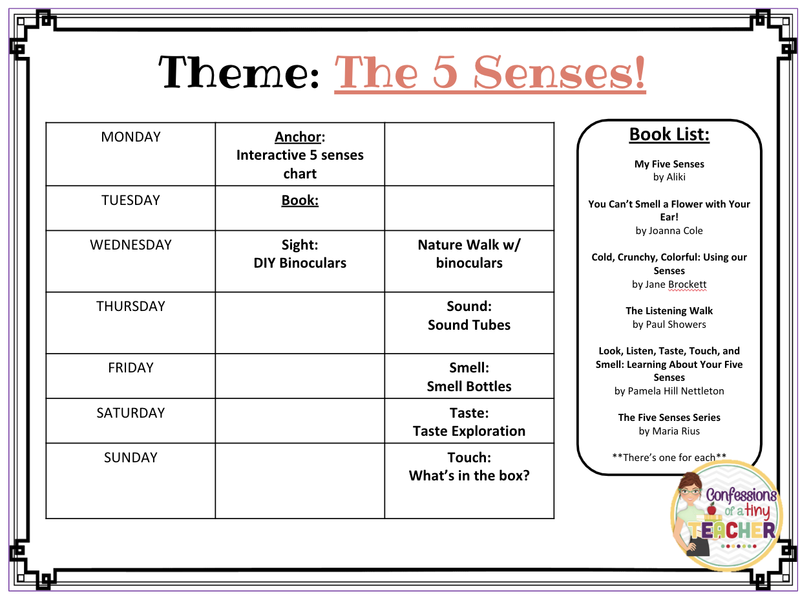 This week we focused on our five senses! 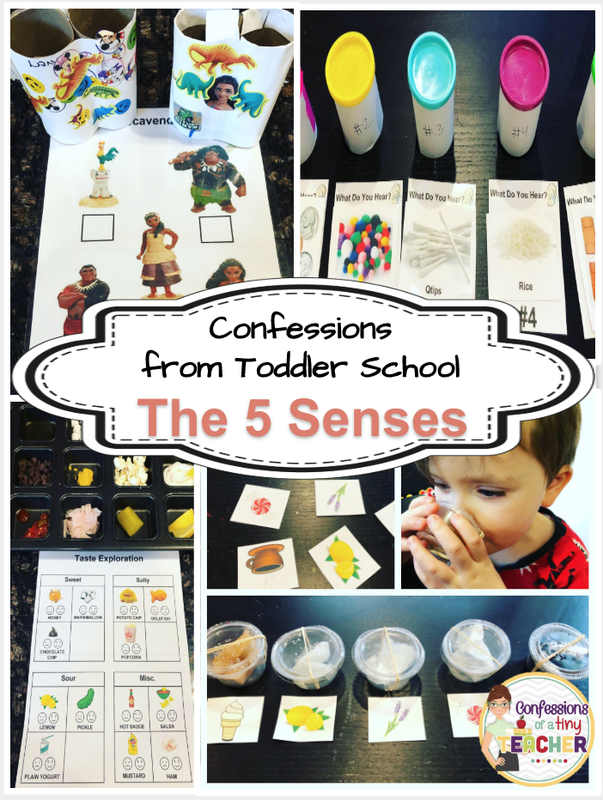 We started with a little picture of Cohen that we used to label his five senses and we spent the rest of the week exploring them! 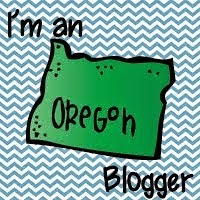 I really enjoyed this week! He's at the perfect age to really enjoy the activities and start making the connections! 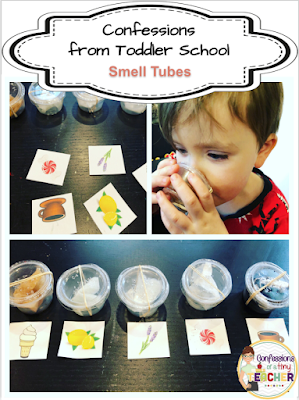 It was really exciting to see him so focused on these activities and using his five senses in other ways throughout the week! 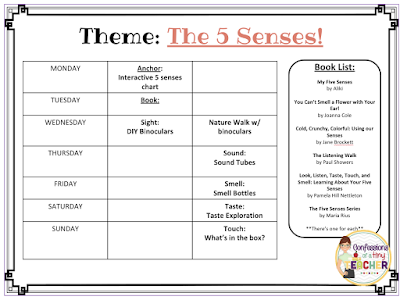 Truthfully we didn't have any themed books this week! The list above are some of my favorites from teaching but we didn't have much luck at the library when we went this week. 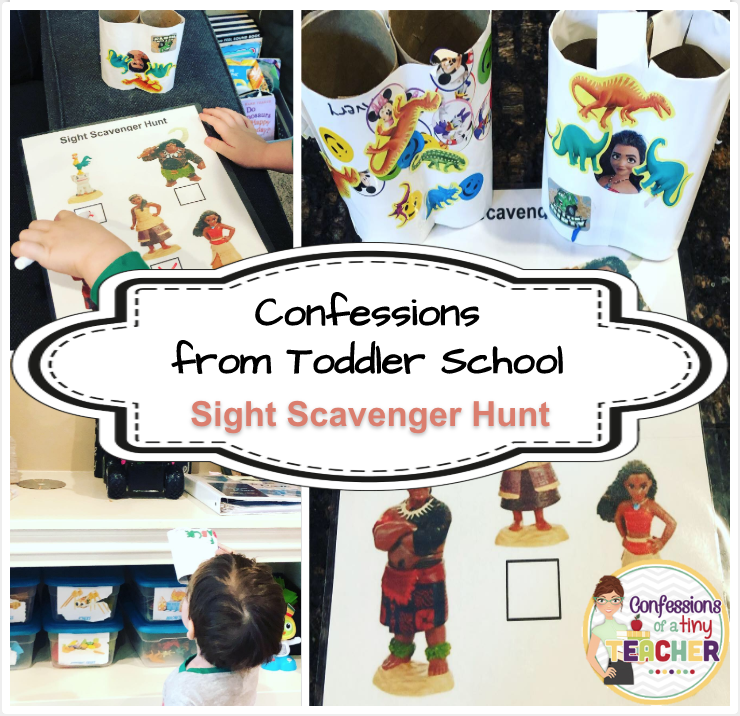 This activity was all about our sight! We made these simple DIY binoculars from toilet paper rolls and then went on a scavenger hunt around the house! The binoculars were the perfect fine motor activity for both boys - even Avery loved it! Cohen's favorite toys right now are his "Moana babies" (I did't realize that was "weird" until I typed it out 🤣). So I hid them around the house for him to find with his binoculars! I also printed off this little checklist for him to check them off as he went! I had a feeling he would really like this activity so I laminated the sheet ahead of time so that we could play over and over again. And let me tell you, I'm glad I did! 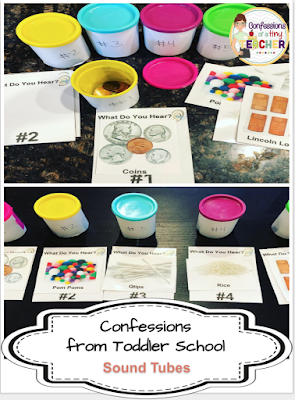 I made these little picture cards to help Cohen identify the mystery items inside - you can find these picture cards along with a blank set of # cards in the activity pack below! Both boys loved shaking and listening to the items inside. And Cohen was surprisingly good at identifying what was inside by just the sound! I had so much fun putting this one together! I scoured our fridge and pantry for a nice combination of sweet, salty, spicy and "other" for the boys to taste. Luckily my boys are not picky eaters and will eat anything put in front of them so I knew this would be a hit! 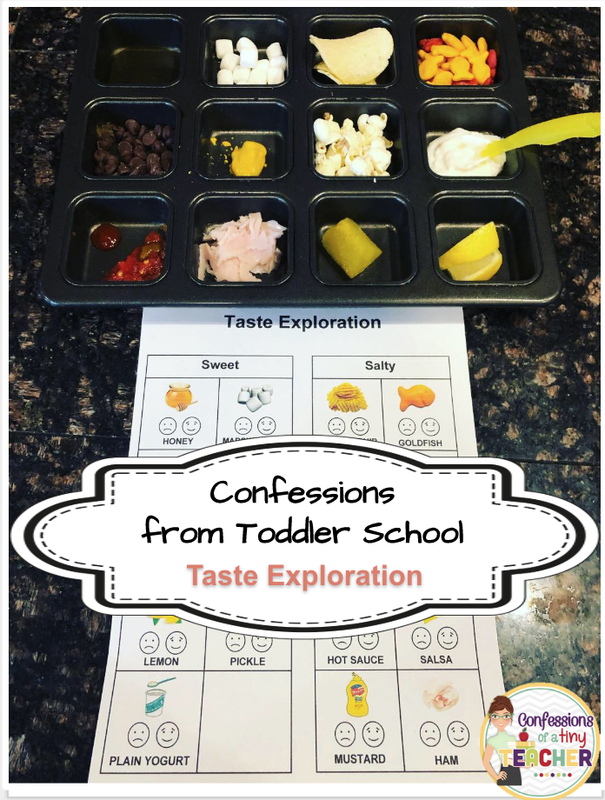 If you've got a picky eater on your hands this is a great way to get them to try new things too! We did not get to this activity this week! But honestly I am okay with that! While Cohen is a super adventurous eater he isn't so adventurous when it comes to tactile stuff (even with all the sensory activities we do). And Avery just makes everything a mess so I'm relieved we got busy this week and didn't have time for this one! Literally whatever you think would be fun to touch! 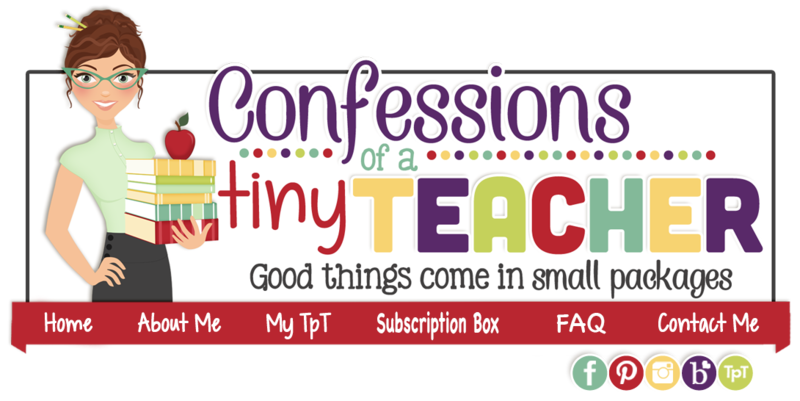 Let your little one explore and guess what might be hiding inside! Confessions from Toddler School: Snow!